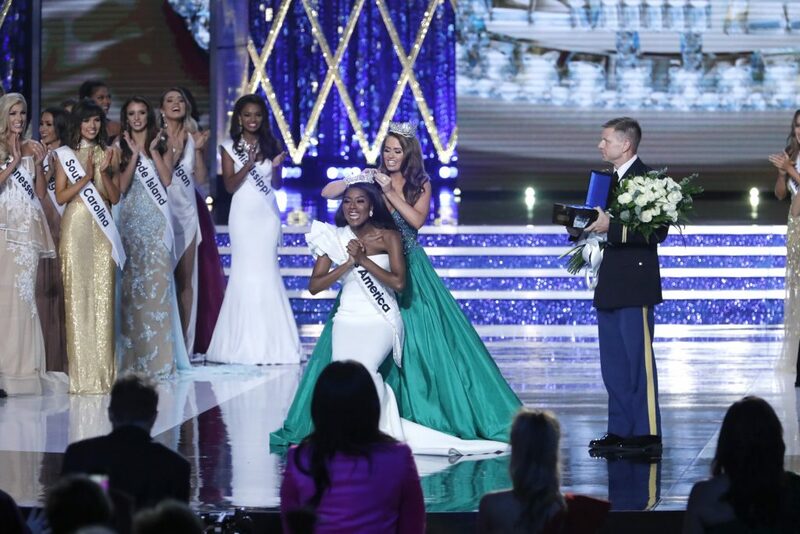 Miss New York title holder Nia Imani Franklin, 25, was crowned Miss America 2019 at the Miss America Competition that took place at Jim Whelan Boardwalk Hall in Atlantic City, New Jersey, on September 9, 2018. “Dancing With the Stars” judge Carrie Ann Inaba and media personality Ross Matthews hosted the show, which was televised in the U.S. on ABC. 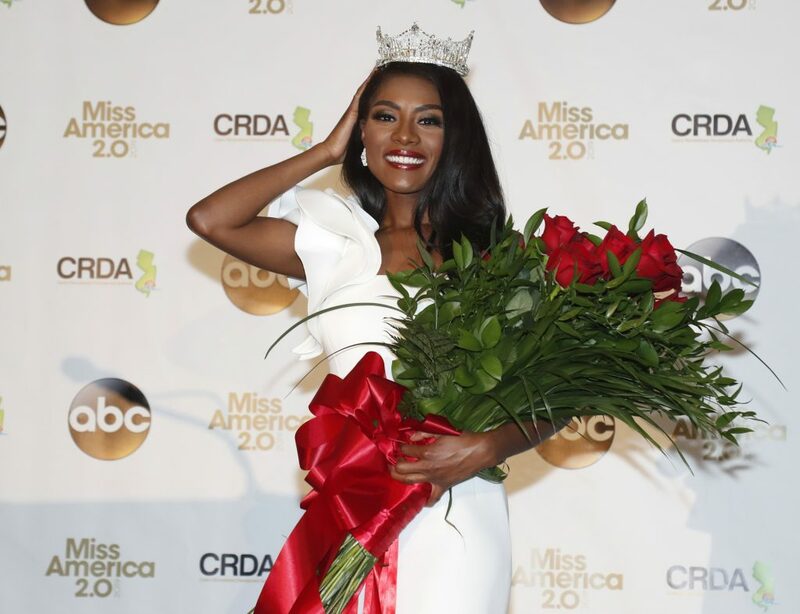 The grand prize is $50,000 in scholarship money, with the requirement of numerous personal appearances and other commitments as Miss America during her the year of her reign. The judges were boxer Laila Ali, country radio personality, Bobby Bones, singer Jessie James Decker, “American Idol” judge Randy Jackson, TV journalist Soledad O’Brien, Drybar founder Alli Webb and singer Carnie Wilson. Rounding out the Top 5 contestants were Miss Connecticut Bridget Oei (first runner-up); Miss Louisiana Holli’ Conway (second runner-up); Miss Florida Taylor Tyson (third runner-up); and Miss Massachusetts Gabriela Taveras (fourth runner-up). 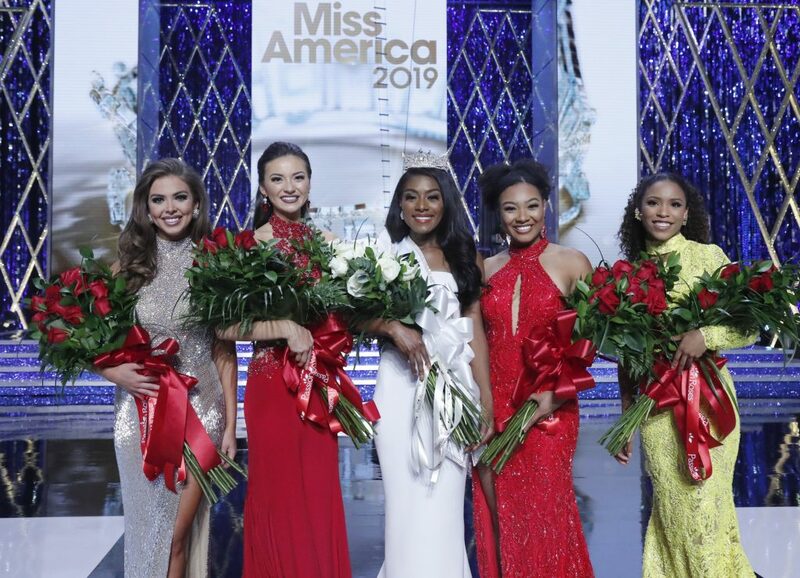 It was the first Miss America show to take place since the massive changes that the Miss America Organization implemented in 2018 under its new leadership headed by chairperson Gretchen Carlson. The changes included eliminating the swimsuit competition, which was replaced with more interview time for the contestants; changing the show’s name from the Miss America Pageant to the Miss America Competition; and no longer judging the contestants for their physical looks. The evening gown portion of the show remained, but the contestants were no longer judged on how they looked in the gowns. The contestants also wore more casual business attire during another part of the competition. Instead of being judged by their looks, the contestants were judged on various other factors, such as their poise, how they answered questions, their personalities, intelligence, talent and personal accomplishments. The big changes to the Miss America show didn’t come without a lot of controversy. People opposed to the changes include several pageant officials and contestants on the state and local levels, former Miss America contestants and thousand of petitioners who have demanded that Carlson and other Miss America Organization leaders resign. Miss America 2018 Cara Mund is also among the critics. In August, she went public with an open letter voicing her disapproval of the new policies and leadership. In the letter and in many subsequent interviews, Mund accused Carlson and other Miss American Organization leaders of bullying her and excluding her. The Miss America Organization issued this statement in response to Mund’s claims: “The Miss America Organization supports Cara. It is disappointing that she chose to air her grievances publicly not privately. Her letter contains mischaracterizations and many unfounded accusations. We are reaching out to her privately to address her concerns.” Carlson also went on Twitter to deny the claims. There also many supporters of the new changes for the Miss America show, but they weren’t as vocal as the critics were. Despite the controversy, Mund was all smiles on stage as she fulfilled her duties of crowning Miss America 2019. Franklin, who is a native North Carolina, graduated from East Carolina University in Greenville, North Carolina, with a bachelor’s degree in music composition. In 2017, she earned her master of fine arts degree in music competition from the University of North Carolina School of the Arts. Franklin moved to New York City after being selected as a 2017 William R. Kenan Jr. fellow with the Lincoln Center for the Performing Arts’ education division.